A: Lower center area of the room with upholstered & miscellaneous furniture, outdoor furniture, etc. B: Miscellaneous home furnishings, decorative, and useful items, Electronics, etc. C: The area around the auctioneer’s stand with furniture, decorative arts, and more. D: Upper center section of the room (closest to the stage) with antique typewriters, furniture, etc. G: 2nd side of furniture, sets of furniture, and more. To view photo gallery as slide show: Click any photo to enlarge, then click the triangle “play” button at the top-right of the enlarged photo window. To exit photo/slideshow, click the X in the top right, or use the ESC button on your keyboard. 11AM: THE ANNEX | Tools; Electronics; Collectibles; China & Glass Lots, and more. Front Room | Antique & Quality Reproduction Furniture; Decorative Arts; Fine Art; Country Antiques & Primitives; Clocks; Carpets; Tools/Lawn & Garden; Electronics; Miscellaneous Home Items, and more. 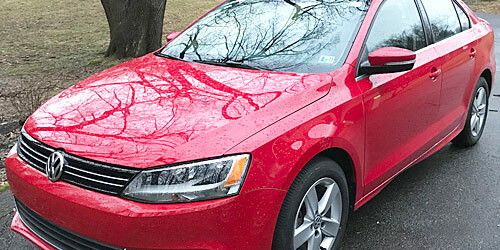 8PM: ESTATE AUTO | 2013 VW Jetta TDI Sedab with only 8,900 miles! Vehicles are sold AS IS, in AS FOUND/ESTATE condition. Minimum of 10% deposit due on day of auction. May be paid with Cash, Check, VISA, MC, Debit. Decorative Arts; Country Antiques & Primitives; Clocks; Carpets; Instruments, etc. SECTION E: Country Antiques & Primitives; Decorative Arts, etc. Numerous flat-screen TVs to include Samsung and Sony, etc. Mountain and road bikes, and more. Sections A & B: Miscellaneous home furnishings, & decoratives; tools; electronics, etc.